You need a communications system—every business does. 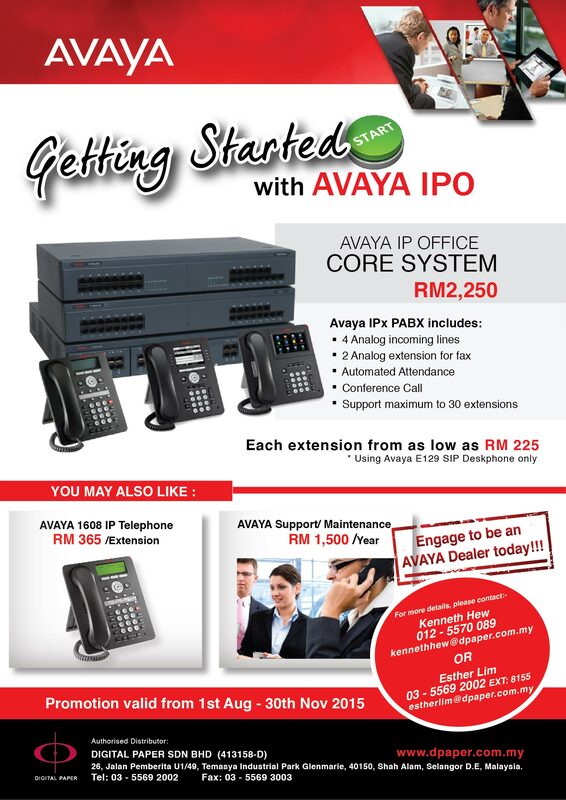 To find one that’s right for your business, start with Avaya. With solutions like IP Office, we’re revolutionizing how small and medium businesses communicate. Now is the time to see what an Avaya solution can do for your business. Sign up now for only RM2,250 to see how video conferencing with Avaya can help accelerate the speed and quality of collaboration for your business.